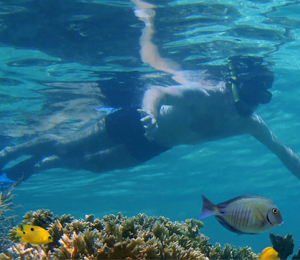 Home to the only living coral reef on the continent of North America and the third largest barrier reef on the globe, Key West is the prominent destination for both amateur and experienced snorkelers alike. Stretching for about 220 miles, the Florida Straits barrier reef system hosts plenty of secret reef locations for the ultimate Key West snorkeling spots. Considered one of the first-site Key West snorkeling sites, Sand Key is an excellent destination for a relaxing snorkeling trip in soothingly calm waters. As a Sanctuary Preservation Area (SPA), Sand Key is home to abundant elkhorn and fire coral, which serve as a habitat for grouper, loggerhead turtles, and barracuda. The key is particularly beautiful from its crushed coral, small shells within the sand, and several rock fingers. On a snorkeling tour, the Sand Key is hard to miss because it is marked by the historical 110-foot Sand Key Lighthouse that has stood in this place since 1853. Although no anchoring is allowed, there are plenty of mooring buoys to enjoy this calm and fascinating snorkeling site. Just a few miles to the east of Sand Key stands Rock Key, which is among the favorites for local snorkelers for its thriving coral and the abundant marine life that call the reef home. With great visibility, Rock Key is popular for its extensive staghorn coral and fire coral from its shallow waters down to 30 feet deep. When snorkeling in Rock Key, you are guaranteed to see plenty of marine life, including wrasse, trumpetfish, barracuda, nurse sharks, damselfish, sergeant majors, sea turtles, yellowtail snapper, parrotfish, and stingrays. Since the best snorkeling at Rock Key is included within a Sanctuary Preservation Area, hop on one of our private charter tours to explore the deep coral canyons with some unforgettable views. As you continue traveling eastwards from Rock Key, you will undoubtedly land in the middle of the Key West snorkeling destination of Eastern Dry Rocks. Highly distinguishable for its coral rock canyons and fingers, Eastern Dry Rocks provides the ultimate snorkeling experience to navigate through the narrow spaces to explore the space between the corals. Along the southwestern side of the reef lays an old galleon with stone ballast and brass fittings, which has been an excellent dive site for finding artifacts as well. While snorkeling in Eastern Dry Rocks, you can expect to meet some sea turtles, lobsters, octopus, hammerhead sharks, barracuda, and spotted eagle rays. About five miles into the Gulf of Mexico to the west of Key West, Cottrell Key is known for its shallow reefs with breathtaking sea fans, coral head formations, and sponges. Along the sandy bottom covered with several coral outcroppings and seagrass, it is common to spot spiny sea urchins and conch shells traveling along the floor. However, Cottrell Key is more famous for being an ideal location for catching a glimpse of some of the larger marine animals in the region, including the Goliath grouper, parrotfish, snapper, stingrays, turtles, and possibly some sharks. When you find rough conditions in the Atlantic, Cottrell Key is the perfect alternative for a day of fun Key West snorkeling or scuba diving. 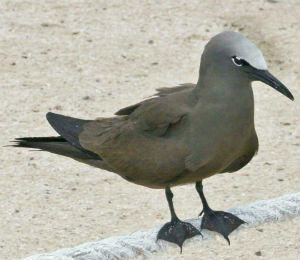 While the name may suggest otherwise, Western Sambo is located to the east of Eastern Dry Rocks in the Atlantic Ocean. Ranging in depth from 10 to 40 feet, the Western Sambo reef line is well-known for its diverse branching elkhorn and staghorn coral extending in all directions. Throughout the reserve, it is common to meet crabs, starfish, sea cucumbers, sea urchins, anemones, and sand dollars. Along the offshore patch reefs, the grouper, larger angelfish, barracuda, surgeonfish, hogfish, butterflyfish, and nurse sharks like to swim. Within the large nine square nautical miles of preservation area with picture perfect water clarity, there are abundant exceptional Key West snorkeling opportunities at Western Sambo. As one of the most top secret destinations for Key West snorkeling adventures, Man Rock is so hidden that it is not marked on the majority of nautical maps of the region. Around six short miles to the southwest of Key West, Man Rock consists of several coral outcroppings that are shaped in a wide circle around the sandy ocean floor. Man Rock is an excellent stop en route to the mangrove islands in the Gulf of Mexico for the ultimate all-day Key West snorkeling tour.